Handicare – Everyday life made easier! Handicare offers solutions and support to increase the independence of disabled or elderly people as well as to improve the convenience of those who are caring for them. It is our mission to make everyday life easier. • The upholstery is available in sand coloured wipe clean flame retardant fabric. 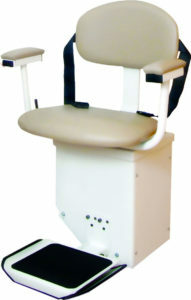 • The footplate and seat swivel are manually operated. • Clip seat belt as standard. • Delivered with a manual hinge or Slide Track if required. • Comes with 2 year manufacturer’s parts warranty and limited lifetime warranty on the gearbox and motor. The Simplicity + is compatible with the Slide Track and manual hinge systems so if you have a doorway close to the bottom of your stairs the Simplicity+ offers you a range of solutions to prevent the track from causing an obstruction. A choice of six upholstery colors are available with the 1000. 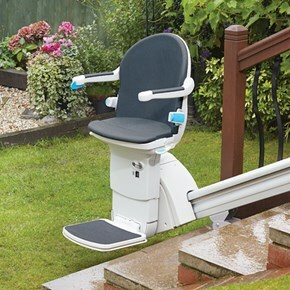 Stairlift for your straight stairs outside! 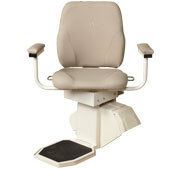 The 2000 is a well established and versatile stairlift system with the tightest track bends available in the industry. It can accomodate a wide range of stair configurations and will hug the edge of your staircase leaving you with more room. The twin rail system provides a safe and smooth ride. It is available in two colors as standard, light grey or gun metal, but can actually be supplied in any color to match your décor. The 2000 comes with two year manufacturer’s parts warranty and limited lifetime warranty on the gearbox and motor. Contact us for more information. 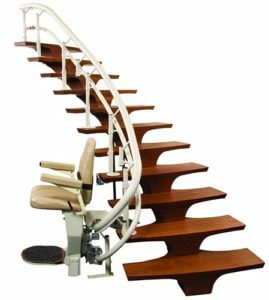 All Access offers a wide variety of stair lifts (also know as chair lifts, stairglides, and stair rides) for inside and outside your home. We can help you choose the right one for you, and install it to meet your customized needs. 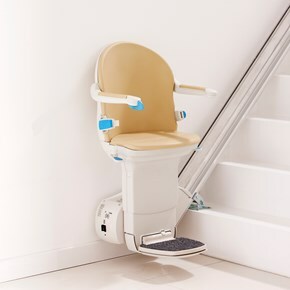 The SL350AC Stair Lift is engineered with a carriage that is pre-installed on a short section of the durable extruded aluminum track. The backrest has three different settings, and the fold-up footrest adjusts to two different heights for the utmost in custom comfort. 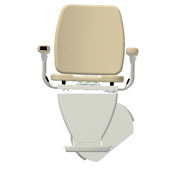 The spacious, wide seat features thick padding and attractive upholstery. 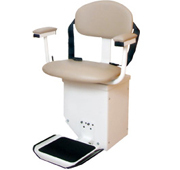 Achieve industry-leading 600-pound capacity with the Pinnacle™ SL600HD stair lift. No commercially rated-ETL! 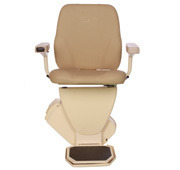 Extending the many benefits of the patented Worm Drive, the SL600HD features a premium ride, little to no maintenance, comfortable seating, and ease of access with a 85° swivel — now with extraordinary lifting capacity. Weather-proofed to withstand the elements, this Outdoor Stair Lift is engineered with a durable extruded aluminum track and marine-grade vinyl seating to handle rain, wind, snow, and temperatures from 0° to 125° degrees. covers for even more protection.